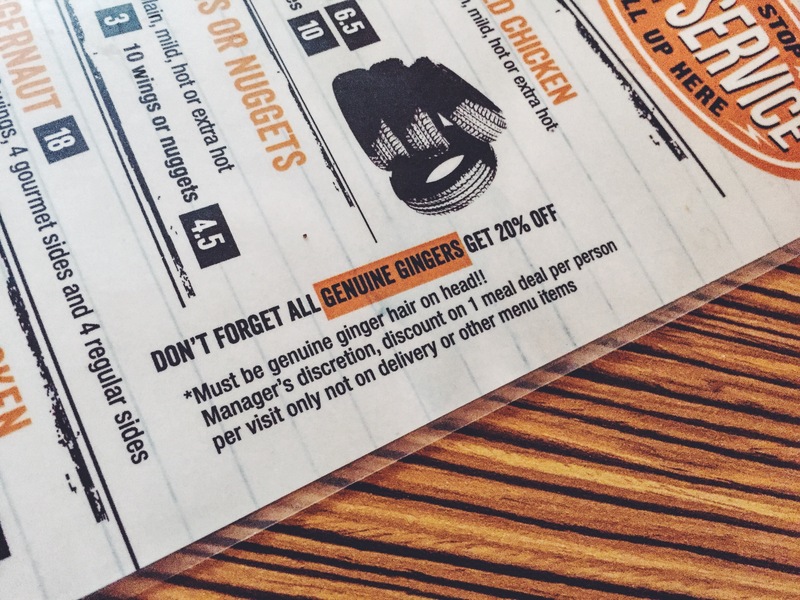 Quietly anticipating the opening of Gingers Grill in Prestatyn, primarily as the owner declared a 20% discount for all genuine gingers when they dine in the establishment. First impressions of the eating environment was odd, it was like there was something missing and I still can’t quite put my finger on it. Anyway, dazzled by the extravagant and graphic menu, I managed to decide on one of many deliciously sounding burgers. 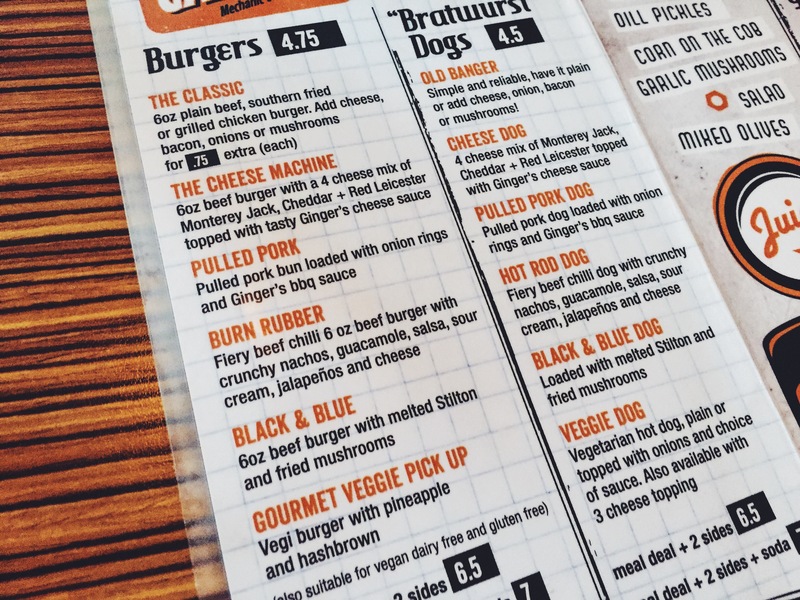 ‘Burn Rubber’ – fiery beef chilli, 6oz beef burger, nachos, guacamole, salsa, sour cream, jalapeños and cheese; reading this left me bouncing with excitement in my cold and moderately comfortable dining chair. After a long 30minutes of constant anticipation and looking over my shoulder towards the kitchen, it arrived. I’ll forget about the inexperienced waiter bringing the wrong sides, then bringing the correct side as we were finishing the meal mainly as the restaurant is still young. Now for the burger. Spilling with beautifully cooked ingredients, meant it needed tidying up before fully delving in. After a few bites in, It was clear that there were alot more of one filling than another, maybe I’m just being picky but I’m allowed to be. Freshly cooked, fresh ingredients, cooked 20 feet behind me, I was content with the meal. There are some minor counterparts that need ironing out that will make the experience more enjoyable but it’s only 1 month old. With no limits on the amount of fillings they put in, it left you almost not wanting any more, and for the price of £5.60 for this meal, your winning ginger or not. 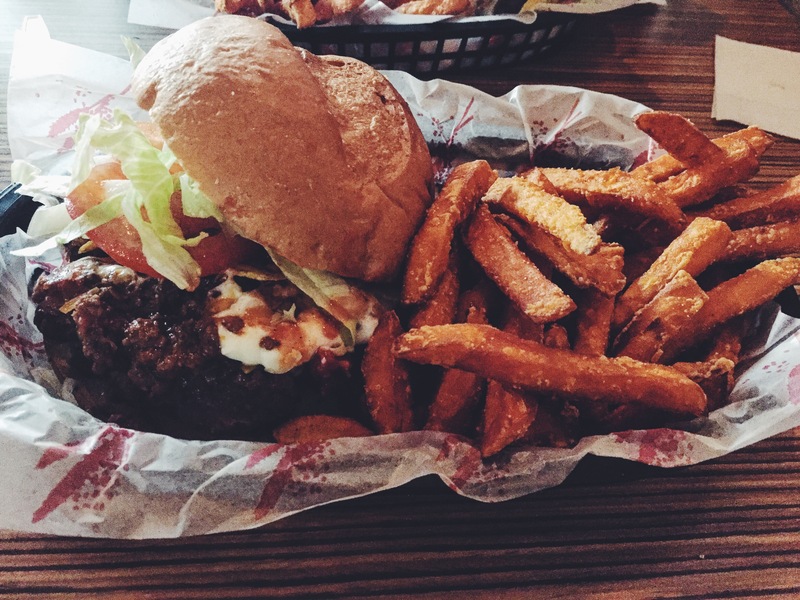 Burger rating: 5 out of 10.